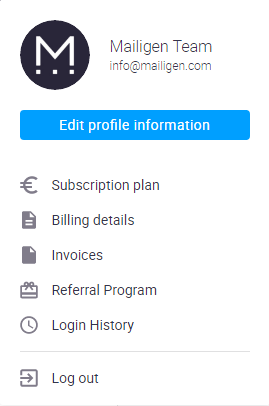 Subscription Plan - Pricing: How To Upgrade My Account? If you feel like you need a bigger plan you can upgrade your account at any time. You can upgrade to bigger plan size or change your subscription plan. 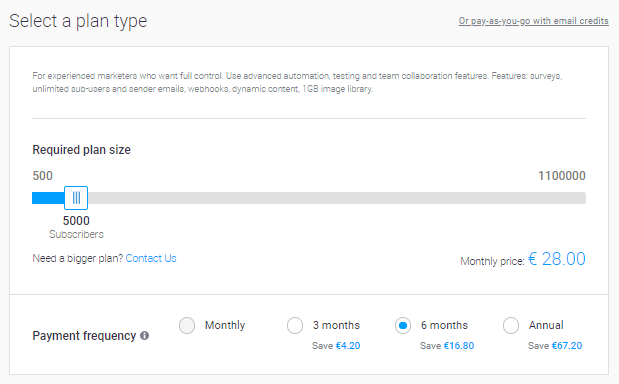 To access plan upgrade option you need to access Subscription plan section which is located in Profile management drop-down. There you will see what kind of plan you have now when it expires and what kind of additional services you have. 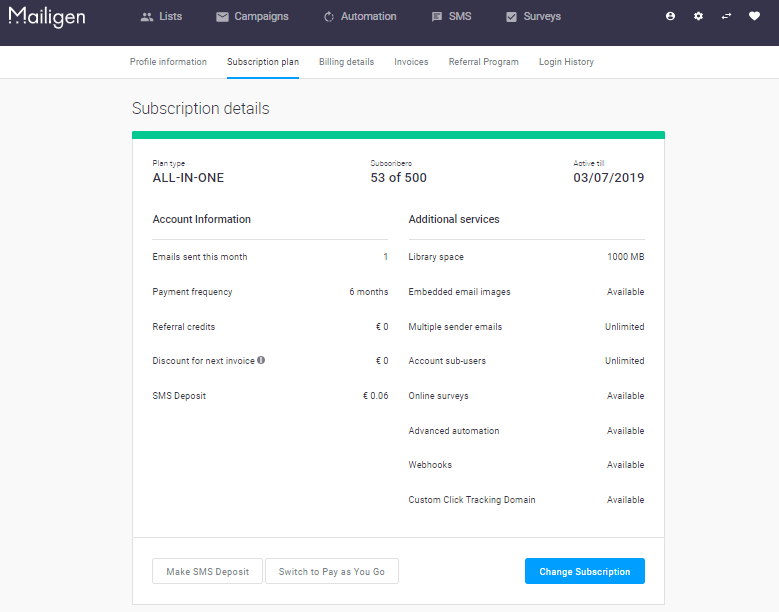 STEP 1 To upgrade account you need to click on Change Subscription button. Then you will be redirected to a section where you can choose the number of your subscribers. The new price will be calculated until the expiration date of your current plan. For example, if the current plan is active till 17/02/2017 and you decided to change it then the upgrade price will be calculated till 17/02/2016. When the current plan will expire you will be able to choose the same or different payment frequency. Amount to be paid now will show how much you need to pay now for the services. Amount to be paid per full x month period will show the cost of your next bill. STEP 2 When you have chosen the plan and plan size click Continue button to get to Review Order page. Here you can see what kind of plan you have chosen and information on discounts and taxes. STEP 3 You can choose one of the payment methods — PayPal, Credit Card or Telegraphic Transfer. Choose the one that suits you best. Note: Paying with PayPal or Credit Card will activate the auto-payment feature for monthly plans. If you wish to cancel automatic payments you can do this afterwards in Billing statement section under Profile management drop-down. STEP 4 When the purchase is made you will be redirected to Thank you page. 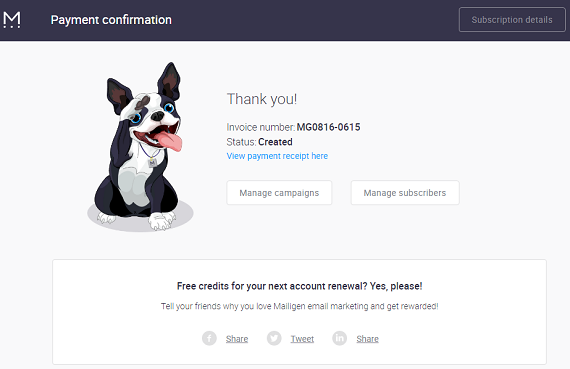 Here you will meet or lovely puppy and will be able to do several other actions like Send a campaign, Upload subscribers or Share the Love for our platform by posting about us on social media. What Are Webhooks And How Set Them Up? How to Set Up Click Tracking Domains?